Here at All Family Dental Care, we are proud to offer Invisalign for our patients in Everett, WA and the surrounding area. Many people are embarrassed of their smile because they have crooked teeth or an uneven bite. We are proud to assist those people and offer them orthodontic work. To begin, we do a thorough examination that includes X-rays. We discuss the options that will give you a smile that you are proud of, no matter what your age is! Many adults and teenagers are proud to wear Invisalign. Invisalign is the latest advance in dental medicine, allowing patients to get straighter teeth without the look of braces. When you wear Invisalign, you wear clear aligners instead of wire braces. They are very easy to use and very effective at getting you the results that you want. 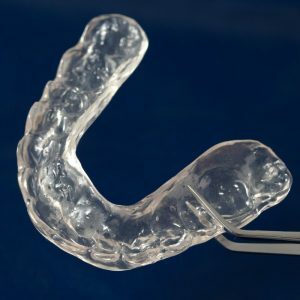 Unlike traditional braces, you will feel nothing but comfort with Invisalign because they are made to fit your mouth. Invisalign aligners are easily removed so you are able to eat whatever you want. You will still want to brush your teeth as well as your aligners after each meal. Invisalign is a very popular option, and we are so proud to assist our patients with this option. Many people love that no one even knows that they are wearing aligners because they are clear. The look of braces is a thing of the past! Our entire staff is dedicated to your smile. We know how important your smile is and want you to have a smile that you are proud of every single time you introduce yourself to someone. We always stay up to date with the latest technology and will always be happy to answer all of your questions. There is no such thing as a silly question. To help you understand Invisalign in more detail, here are some answers to FAQs. Can I smoke with Invisalign in my mouth? A tobacco product will likely stain the aligners and discolor them, making them visible. It is recommended that you wear your aligners between twenty-two and twenty-four hours per day. Because of this, you will not be able to smoke when you wear Invisalign. Can I use Invisalign if I have a crown? Crowns, also known as tooth caps, are usually not a factor if you are interested in invisalign treatment. With that being said, small tooth-colored composites called attachments are bonded onto teeth to assist certain movements, and these are more difficult to bond on crowns than on teeth. More than 4 million people use Invisalign worldwide. This number is growing every single day. The virtually invisible aligners are made of strong medical grade thermoplastic material. This is uniquely developed by the Invisalign System. The aligners are custom-made for you so that they fit snugly over your teeth. What is the minimum age to get Invisalign? There is no minimum age. You will need to speak with your dentist to see if Invisalign is a good fit for your teenager or child. If you have any questions about our Invisalign, we are happy to answer them or schedule you an appointment. Contact us today at (425) 337-1000.